Wouldn’t it be good to see the Resident Senior Ranger have an enhanced role? We could think about using the current Resident Senior Ranger’s skills and expertise to develop community links and the local environment. It is easy to see how this might benefit health, education and well being as well as the achievement of environmental goals. Proud of Stockport Awards 2013. There’s a new category: Our Place. Do you know anyone who has made Our Place a better place to be? Thanks to Gill for her feedback. For those who want to have their say, this is a better link. Over 250 visits to the site in the last two weeks. Many may be wanting to use this tool for communicating with Stockport MBC. Visitors to Chadkirk on Saturday afternoon were able to enjoy the the garden in mellow autumn sunshine. The beech trees in the woodland are beginning to turn to gold, amber and russets. Within the walled garden asters, rudbekias and sedums are in full flower. 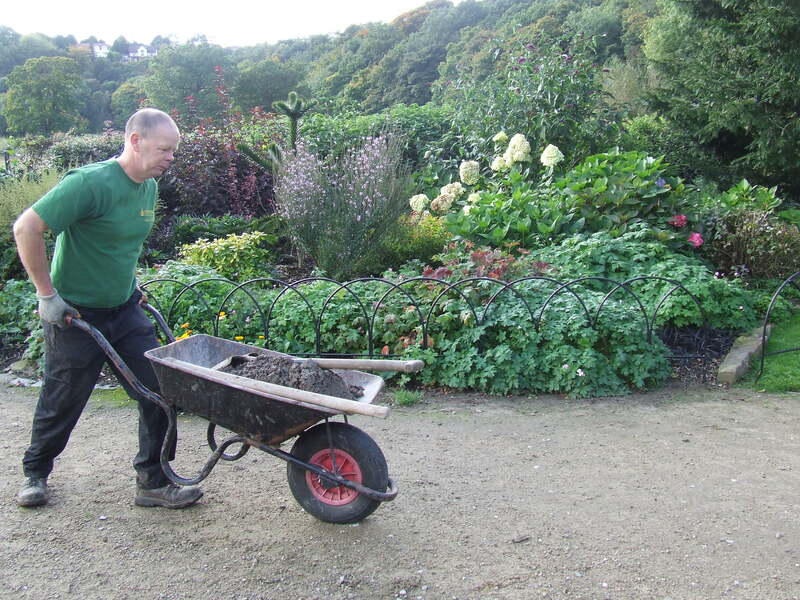 As the visitors enjoyed the garden, chapel and woodland walks, a team of volunteers got to work. 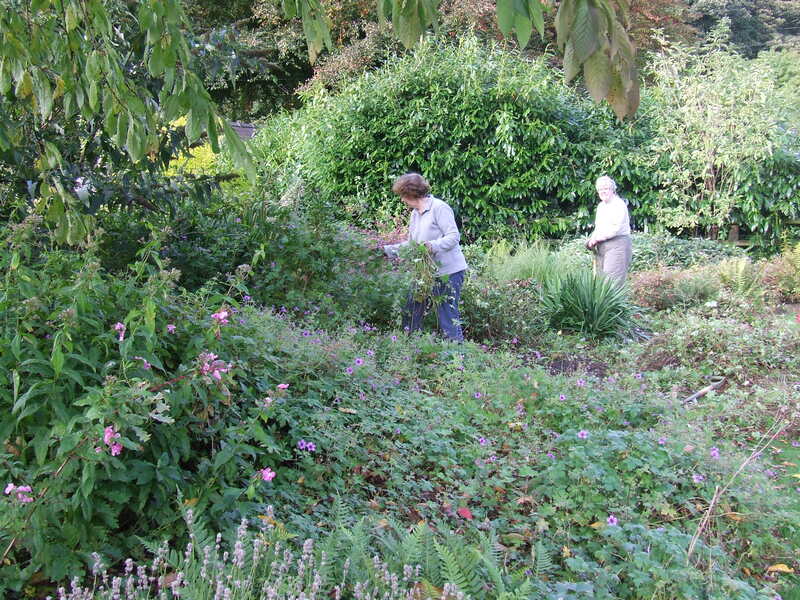 In the walled garden, there was work to be done on the lavender bed. This has been stunning during the summer. The circle of lavender encloses a central obelisk with a rose and clematis. This bed was designed and planted a few years ago and the climbers need a better support. Under Alan’s watchful eye, the rose was pruned, the obelisk removed and the site prepared for a new installation. If you visit the walled garden today, you will see a new obelisk at the centre of the lavender bed. This small but delightful improvement comes courtesy of a bequest. A gift given as a token of gratitude for many happy days at Chadkirk. The herbaceous borders outside the walled garden required attention. A hardy geranium is flowering. It has flourished in this position, spreading to engulf many of the other plants in the border. Two volunteers worked steadily for a couple of hours, so that other plants can see the light. Meanwhile at the other end of the long border, Alan and John laboured, lifting stones, mixing concrete and installing new fencing. Resident Senior Ranger at work. New fencing purchased by Friends of Chadkirk using Joy’s bequest. 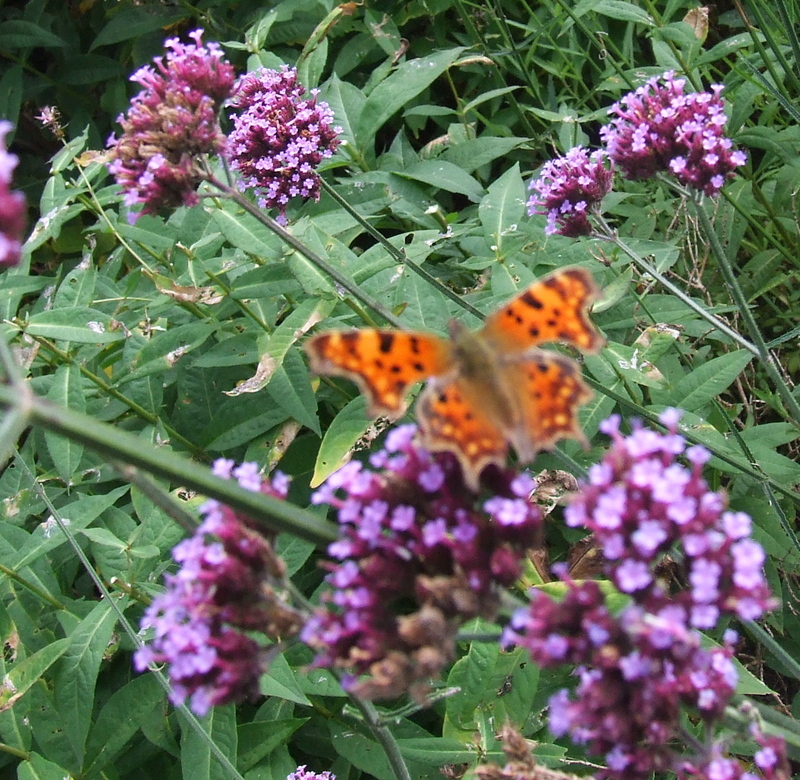 Earlier in the week Alan had spotted five different species of butterfly on the verbena flowers. Although I was disappointed to have missed that, I was lucky enough to glimpse a comma in the afternoon sunshine. Please be aware, that under the current proposals, the Resident Senior Ranger post will not exist in April 2013. This means that all the benefits that he brings to the local and wider community will be lost. Proud of Stockport? Proud of Chadkirk? Short sighted or forward looking? I am sure there will be few areas within the council that are not subject to change and re-organisation. This is where the problem lies. I have been a resident near Chadkirk Country Park for more than 10 years and have seen many improvements to the Estate. When I first moved to the area, having only lived several miles away, I did not know it even existed. The estate, at the time had a tenant living in the house; the farm and surrounding fields were, to put it politely ‘un-kept’. Shortly after the tenant had moved out we were given an Estate Manager. With the tenacity of the Estate Manager, John Rowland, we have overcome many problems and I say this as a ‘we’ because John has become very much part of the community, not just working the estate and seeing his position as merely a job but more of a vocation. He is an integral part of the Estate; well liked and over the years has gained the respect of both visitors and resident alike. He has a holistic approach to Estate Management, involving all of the people who visit the Estate, offering help and advice, always having time to chat about future plans projects, wildlife etc. Some of the issues that have been overcome include: vandalism, arson, antisocial behaviour, fly tipping and dangerous dogs to name a few. As already mentioned I have seen many improvements over the past 10 years, the Estate now is a Safe Environment – people feel safe, many people walk on their own especially ladies, one lady I met said she felt safer walking around the Estate than walking through Romiley. The Estate has been awarded Green Flag Standard, the grounds and paths are well kept, wide enough to cycle and access for the disabled making the Estate a fully inclusive area. The increase in wildlife this could be due to several reasons – natural and man-made habitats, attracting rare birds, butterflies, moths and reptiles. I have also noticed over the years a massive increase in the number of people who visit the Estate. Many come from all over Cheshire, Lancashire and surrounding areas, so the Estate is obviously appealing to the wider community. Also over the past 10 years the Estate has been designated a Local Nature Reserve, some parts have Conservation Area status, the whole estate is in a ten year Higher Level Stewardship agreement managed by English Nature (awarded for what has been achieved and the vision for the future) and two of the fields (Chapel & Wild Flower Meadow) have just been designated SBIs (Site of Biological Importance). Without having a permanent resident on the Estate, with a vested interest in the up-keep of the Estate this would soon fall into disrepair, ruining all the hard work and monies the council has already put into place to make Chadkirk Estate a pleasurable place to visit. In short it will end up costing the council more money to correct/fix or pay for added security. I feel it would be short sighted of the council to make drastic changes to this gem. It is truly a jewel in Stockport’s Crown and we need to fight to save it, for all to enjoy. Please be aware, that under the present proposals, the current Senior Ranger post will not exist in April 2013. This means that all the benefits that he brings to the local and wider community will be lost. I have been involved with Friends of Chadkirk for a few months. Even so, in that time, there has been a chance to see enough of the work of the resident Senior Ranger to be able to guess at the impact of his loss. The photos on the blog illustrate some his involvement with the local community. There’s all the evening meetings. Setting up the the pond dipping through his contacts with the Cheshire Active Naturalists. Liaising with SKMBC representatives to organise the meeting down by the river after the Bridge opening. It was his daily presence that enabled a watchful eye to be kept on external contractors. Whether bridge building or hedge cutting, it can be that some one who cares passionately about Chadkirk will help steer activity towards the best outcome for the local community.Together with Alan, a member of the Ranger service, who plays a valuable role in the daily management of the Country Park, they make an effective team. 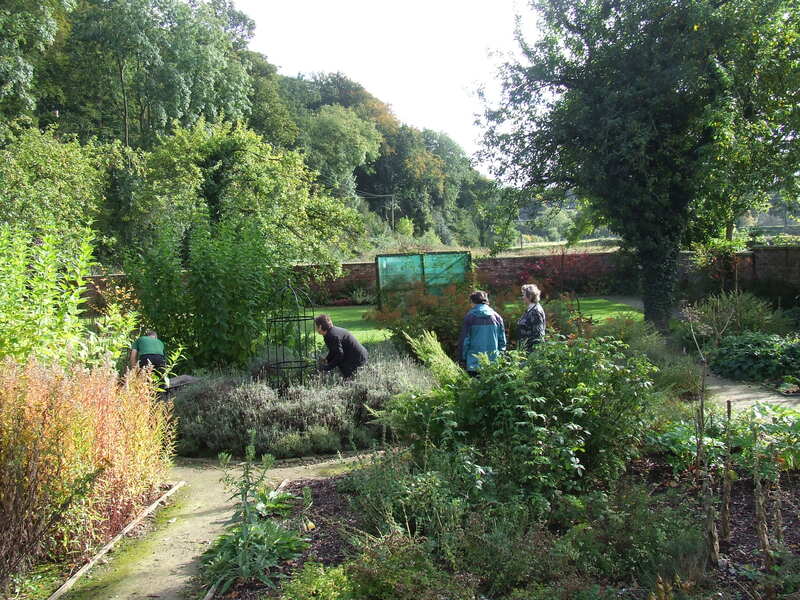 The renovation of the Walled Garden is a community enterprise illustrating the merits of co-operation between local authority and volunteers: it is the resident Senior Ranger who is on hand to manage that process. 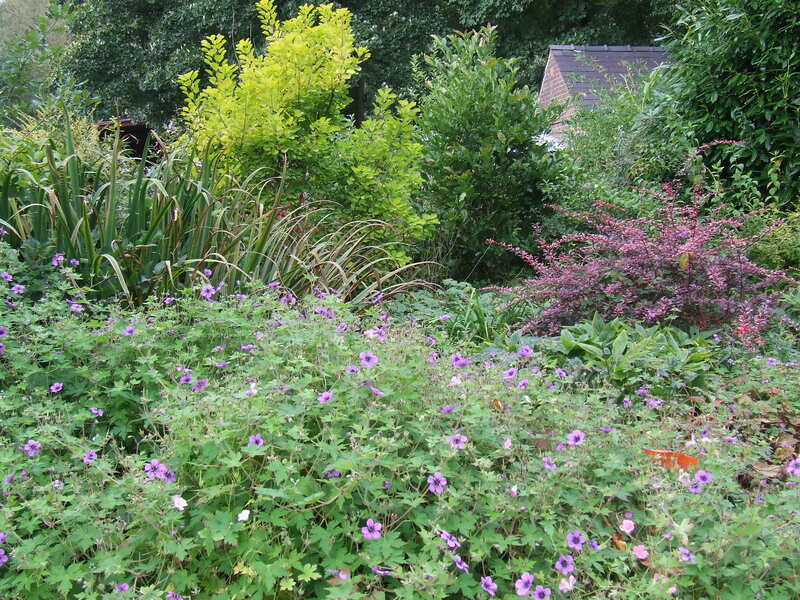 He knows which tasks to attend to, has the expertise to advise on planting schemes and ensures that the practical aspects of the job are set up when volunteers arrive to garden on task days. Beyond that, his daily presence and diligent, cheerful vigilance can be seen in many smaller actions. Ever noticed how litter free Chadkirk is? In part that’s thanks to John. Daily he picks up litter. Daily he cleans the toilets at the car park. And as the need arises he talks with the people who visit the Country Park. Sometimes this involves a timely intervention, when a few rowdies might be upto mischief. Often it involves responding to an alarm in the middle of the night. It might be that wildlife set it off but he will not take that chance. By keeping careful watch, he safeguards Chadkirk for the rest of us. 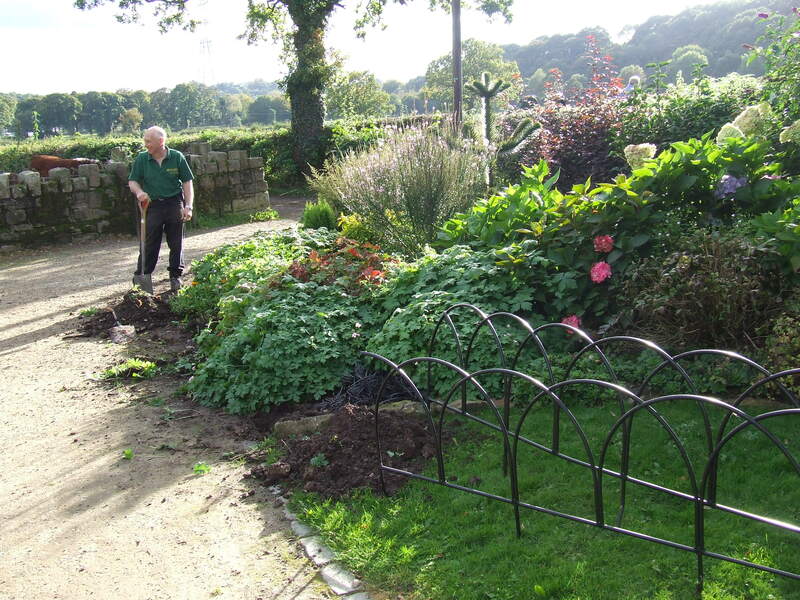 If you have attended an event at Chadkirk, whether it is the Chadkirk Festival or the Bird Box Building, those who simply enjoy a daily walk, and those who like to sit and take in the beauty of the herbaceous borders, you will have seen and benefited from the work that John does. Of course he might do more. 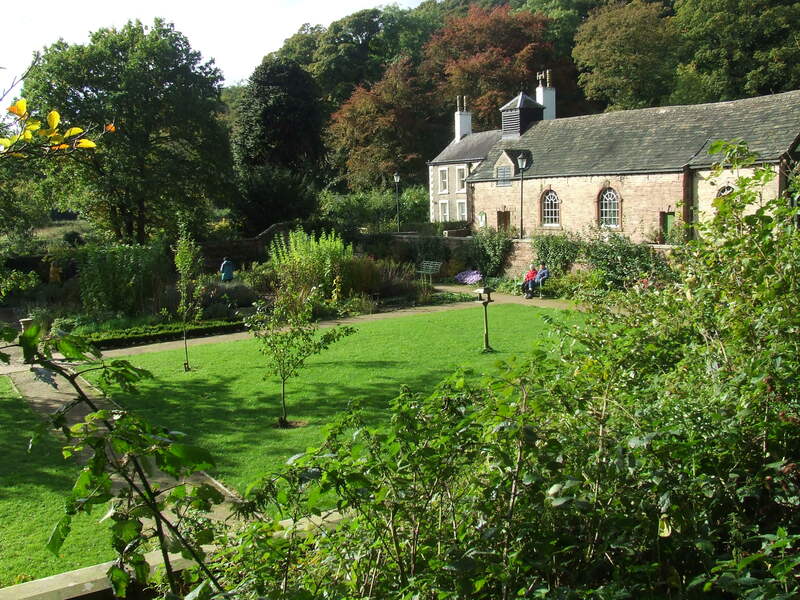 But then he has a number of other parks, including Bramhall, in his job description. I’d like to see his role at Chadkirk expand. I’d like to see schools and other users benefit from his skills and unique local knowledge. In the meantime, there are proposals that might see the days of a resident Senior Ranger in Chadkirk come to an end. And come to an end soon. The consultation exercise has begun. Have your say. The invitation is out. A chance to influence decision makers. Use the internet. Leave letters at the library for local councillors. Talk with elected representatives.